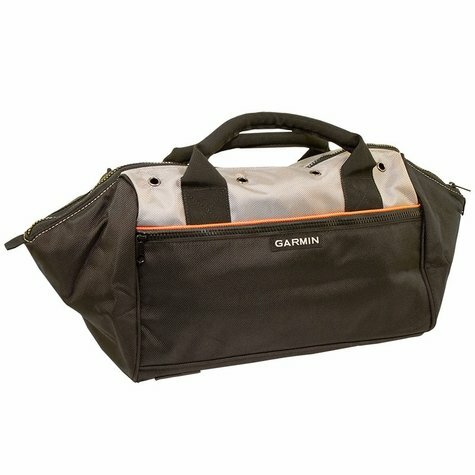 Garmin Field Bag with Orange Lined Interior. $39.99. "A quality product at a good price." I purchased this bag to carry all my electronics (GPS, walkie-talkies, chargers, cables, etc...) during our travels. It has more than enough room, is well padded throughout, well made and tough as nails. A quality product at a good price. I had to wait over two weeks to get it because GDS was out of stock. Great amount of storage. Interior pockets free up space. Orange interior make things easy to find. 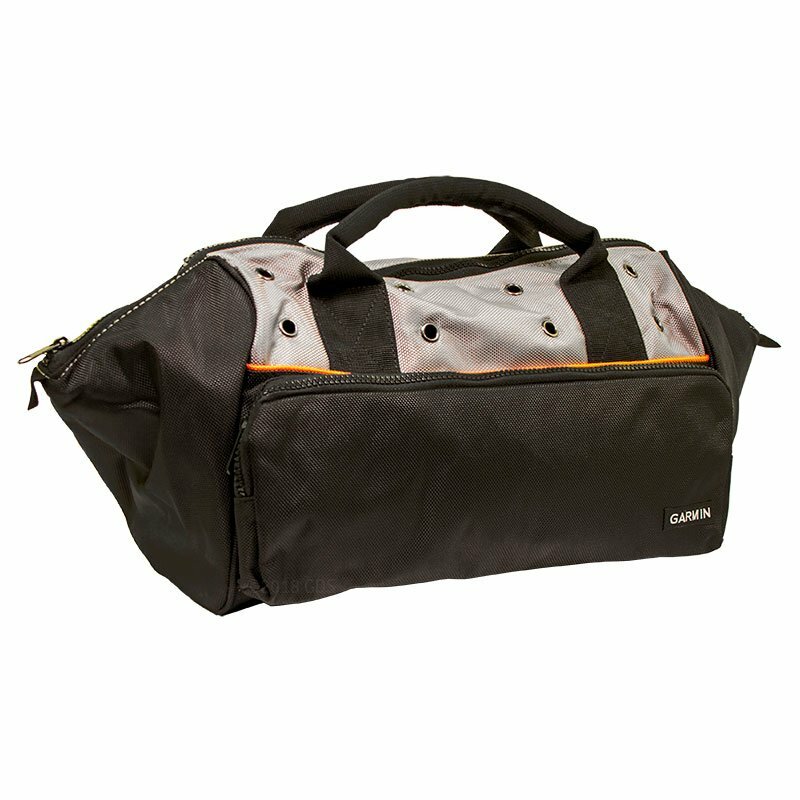 Durable polyester bag has plenty of space for accessories. The Garmin field bag is just what you need to keep all of your tracking and training devices in one place. Made with durable black and gray polyester, this zippered bag is big enough to carry multiple Alpha, Astro, PRO, or Delta units plus their associated accessories. 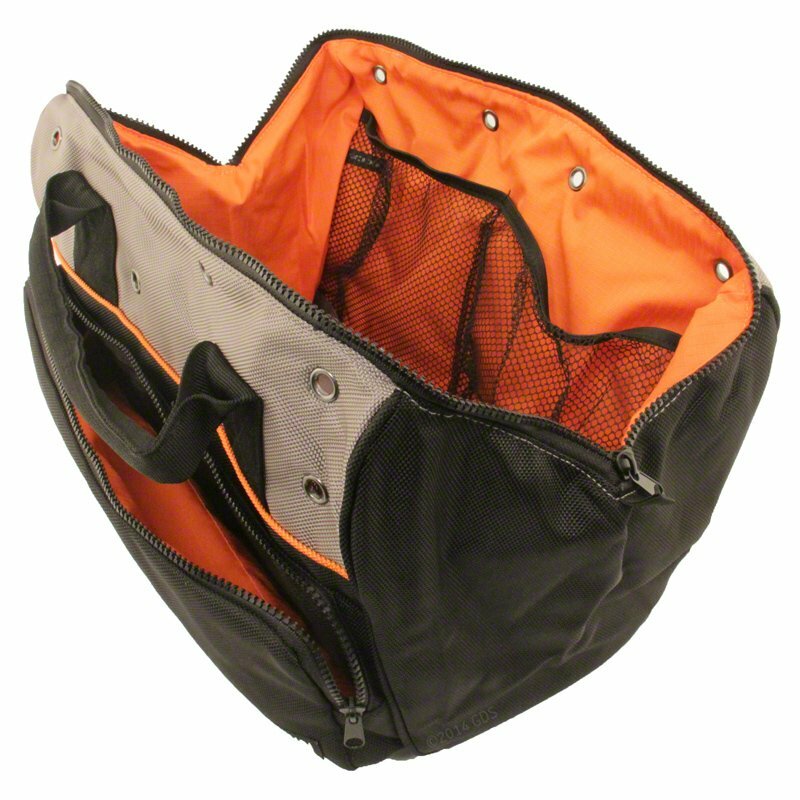 The bright orange interior helps you see inside the bag so your black items don't get lost in the mesh pockets.